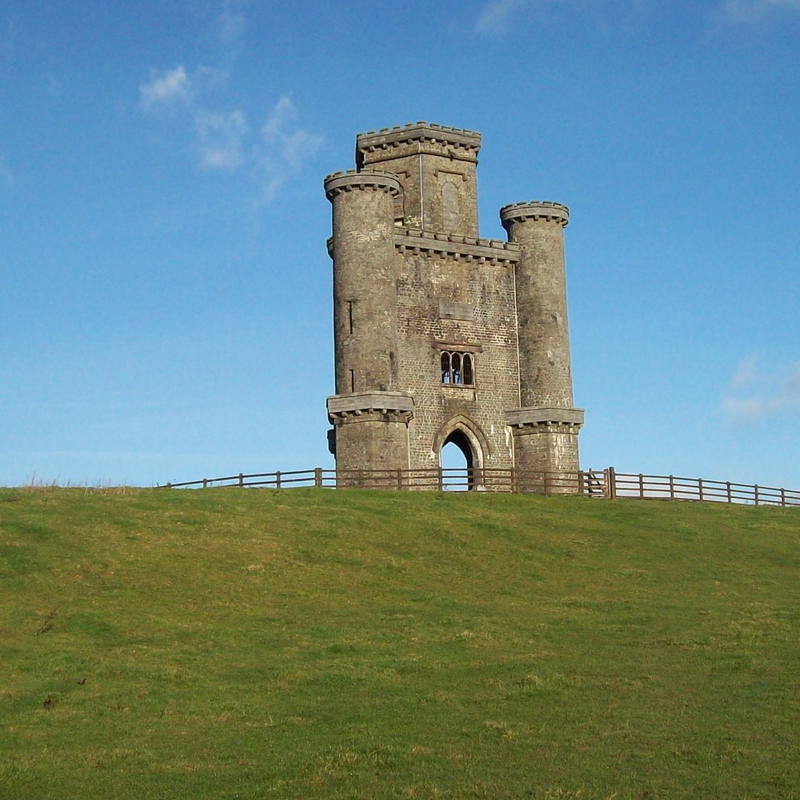 A good day was forecast and as Paul had not been to Paxton’s Tower near Llanarthne the plan was made. 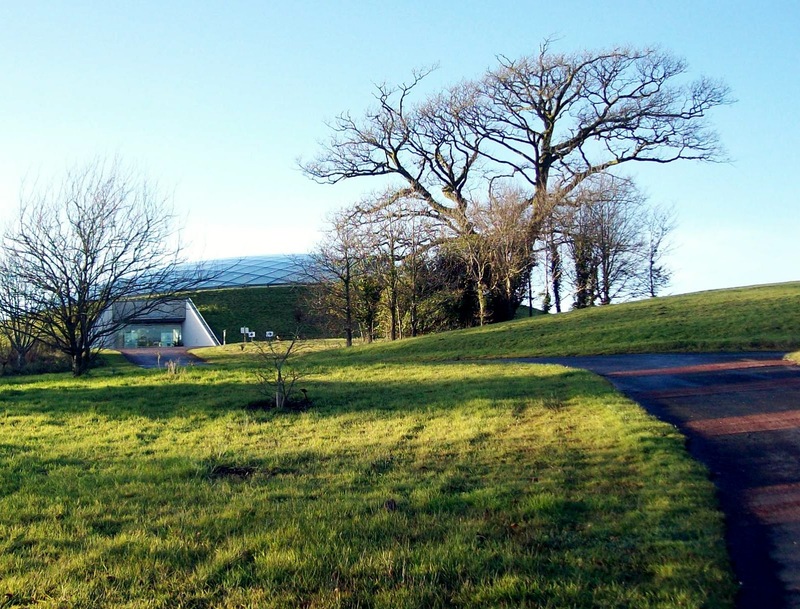 We parked the car in the National Botanic Garden of Wales and walked down the minor road which leads past Glascoed Fawr. 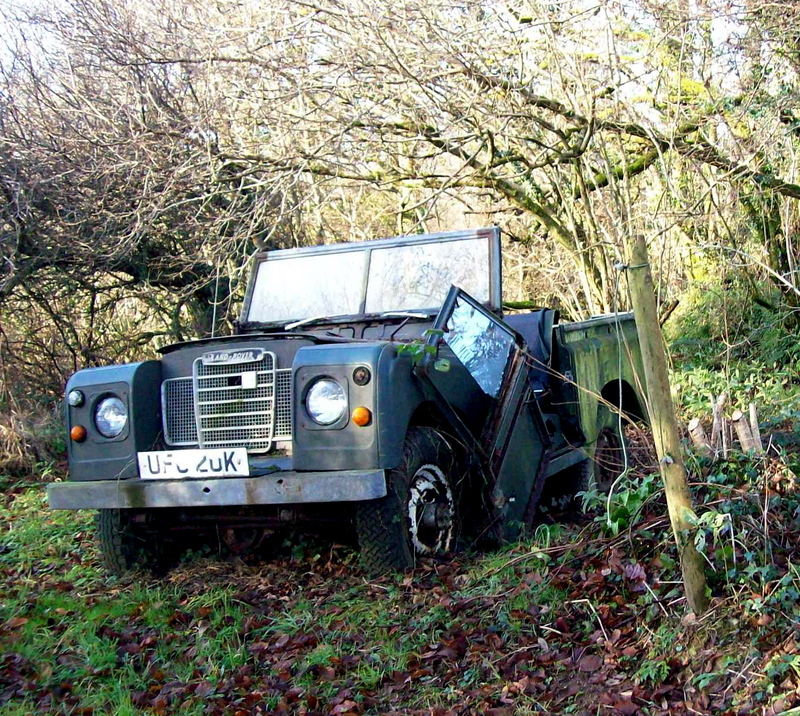 A very sad Landrover was seen in a field. We could also see our main objective of the day. At Derlwyn Isaf we took the footpath to the right and across the Llanarthne recreation ground to join the other road which forms part of the National Cycle Network route 47. 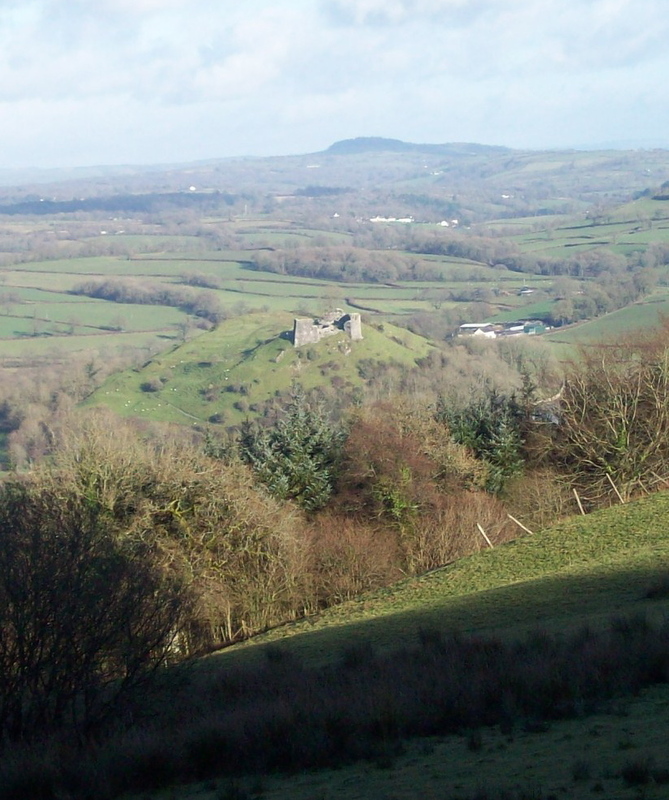 We then walked south for a short distance and and took the footpath near Pen Heol Fawr. About a year ago there was no footpath sign but I was pleased to see that my request to the Council has met with success. The path leads across a number of fields where the areas by the gates were a bit of a mud fest. Just short of Pistell Dewi we joined the main road. 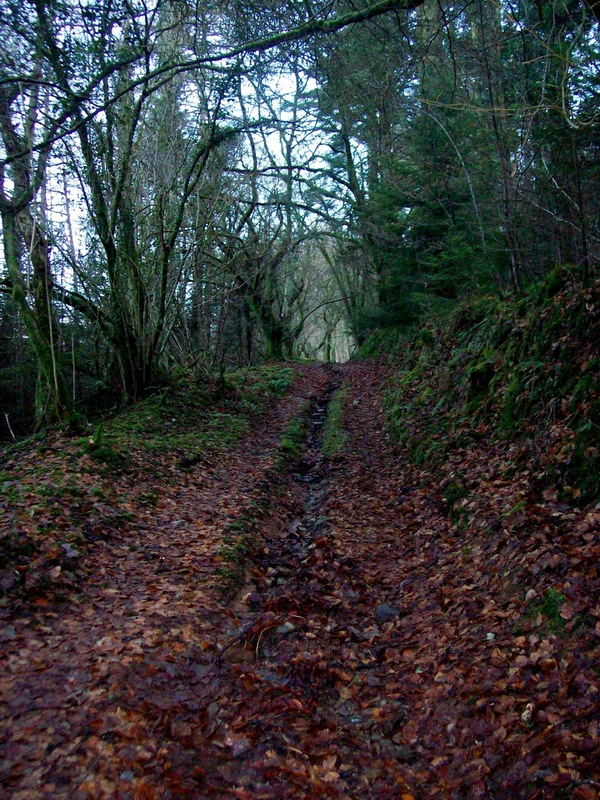 The lane shown by the map with green dots then led us steadily up through the woods with views over to Dryslwyn Castle. Clear of the woods we took the lanes which led to Paxton’s Tower a large folly with extensive views of the Tywi Valley. The history of the tower can be viewed here. After a coffee break we continued downhill on quiet lanes to a wooded area which forms part of the National Botanic Garden of Wales and shown on the map as Pont Felin Gat. If you find yourself here follow the orange tipped posts and it will lead you into the main area of the Gardens passing the Great Glasshouse. Click here for the relevant website.